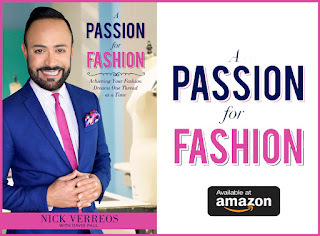 Posted by Nick Verreos Labels: British Prime Minister David Cameron, Michelle Obama, Michelle Obama Fashion, Michelle Obama Marchesa, Obama State Dinner UK, Samantha Cameron, Who Wore What? Last night, President Obama and First Lady Michelle Obama held a State Dinner in Washington D.C. at the White House (of course) for British Prime Minister David Cameron and his wife Samantha. This was the sixth state dinner of the Obama Presidency. The entertainment of the night: John Legend and Mumford and Sons. The international guest list for this black tie gala ranged from diplomats, government officials to the world of entertainment and fashion. VIP guests included George Clooney, Virgin Mogul Richard Branson, billionaire Warren Buffett, Vogue Editor-in-Chief Anna Wintour, Harvey Weinstein and his gorgeous wife, Marchesa co-designer Georgina Chapman, Charlie Rose, actors from PBS' "Downton Abbey", as well as the reigning king of golf, Northern Ireland's Rory McIlory , to name a few. Now onto the FASHION... First lady Michelle Obama wore a teal blue gown from the American design firm of Marchesa (designed by two Brits, including Project Runway All Stars Judge, Georgina Chapman, who was a guest--and is British of course). 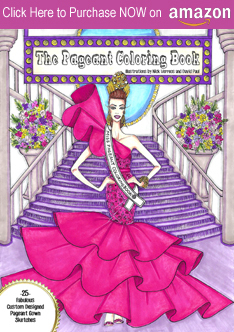 The gown is from the Marchesa Resort 2012 collection. The original gown features a draped and pleated off-the-shoulder top section and a "high-low" peplum train which for Mrs. Obama was removed (good call!). The shoulder draping was stitched down (Good Call Part Deux!). The First Lady looked elegant and statuesque and I think it was great to expose her fabulous shoulders and great arms--and to wear her hair up as well! Although, I'm not 100% sold on the necklaces. I get what she was going for and I love chunky jewelry, but it was a bit overwhelming for that dress and distracted a bit from the beautiful neckline. But there is no denying that this gown was made-to-order and fitted on her to a "T". Notice the perfection of the back and that mini-train: Finally, here's the British Prime Minister's wife Samantha Cameron and her State Dinner Fashion Statement: She wore a royal-and-navy blue appliqued lace gown from British designer Alessandra Rich. The gown featured and thin belt accentuating her tiny waist and a neck tie. 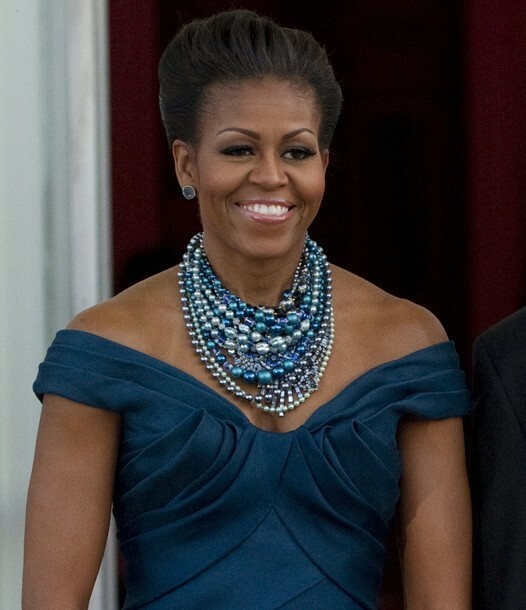 Both her and the U.S. First Lady complimented themselves in different shades of blue. And yes, kids, this was not by accident. This was all pre-arranged and pre-coordianted via their corresponding Social Secretaries, trust me. Lovely to see FASHION with a Capital "F" at the White House. Thank you ladies! What did you guys think? Which First Lady wore FASHION best at last night's State Dinner? 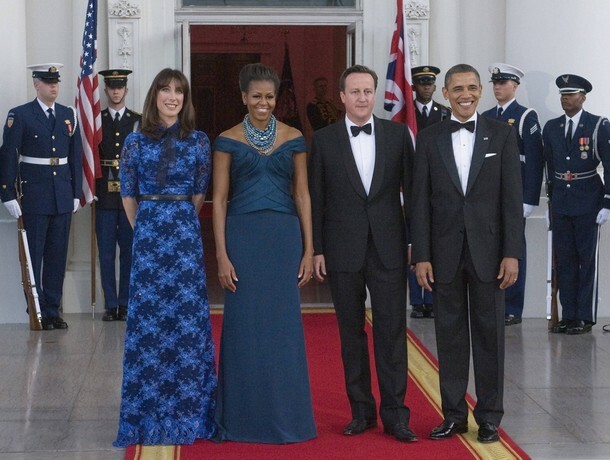 Michelle Obama or Samantha Cameron? Let me know. 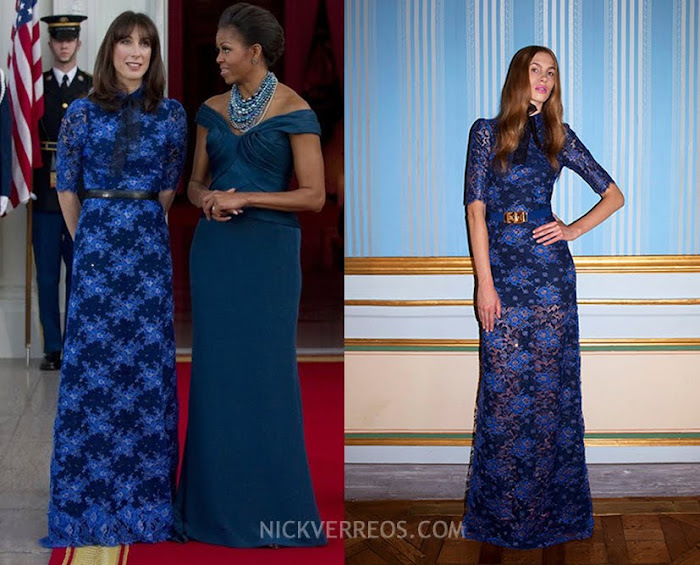 2 Responses to "WHO WORE WHAT?.....White House State Dinner: Michelle Obama in Marchesa, Samantha Cameron in Alessandra Rich"
Is it just me? It drives me crazy that the first lady doesn't stand up straight. Very pretty dress. That's the same thing I thought. I think with the huge necklace and the way the neckline is made, she looks like she is hunched over. Maybe she IS hunched over. I was also perplexed. The actual neckline of the dress is beautiful. I can't tell if the hunched over posture is Michelle or if the dress neckline is giving this illusion.